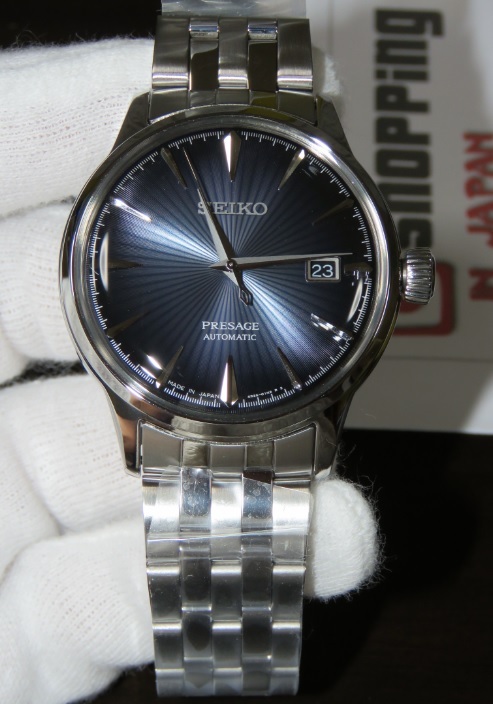 On sales again at lower price for this Seiko SARY073 (or SRPB41J1) Presage Cocktail Time Blue Sunburst dial that comes with Caliber 4R35, and has 21,600 vibrations per hour (6 beats per second). This Presage SARY073 is a JDM (Japanese Domestic Market) watch model and it's now in our stock - ready to ship within 48 hours to any country. So buy now before it’s too late! received my second watch purchase from shoppinginjapan.net , perfect packing, fast shipping, excellent customer service. It's a beautiful watch no question about it. I believe the hardlex was a necessary trade off for the crystal to be so sexily domed. When the light hits the dial, it's just hypnotising to look at. Oh and the service at this shop is simply superb! Was difficult to choose between this and the original Sarb065, but this cool midnight blue was hard to pass up on. Other than that service from SIJ was sweet as! The watch is unbelievable gorgeous, the photos cannot show the full beauty of this piece. Buyit. Couldn’t be happier with the service from Sara and the team! Konichiwa. And Arigato gozai mas ta! 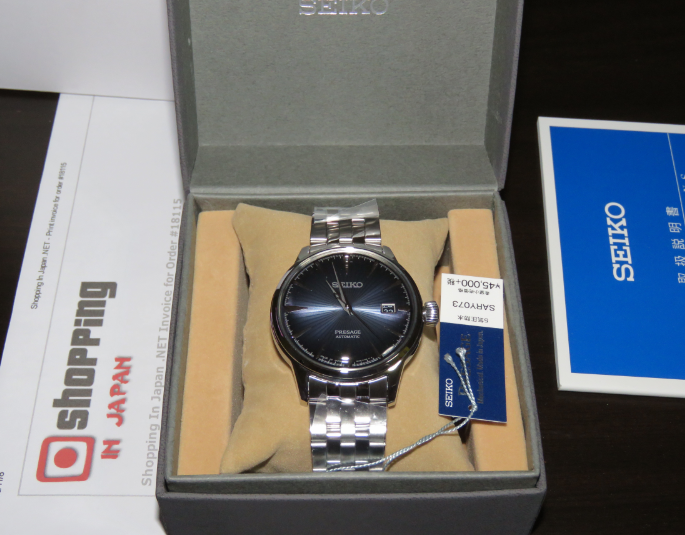 Product from Seiko is good as usual. Too bad warranty is only in Japan. Delivery good and fast as promised and follow up system is good.